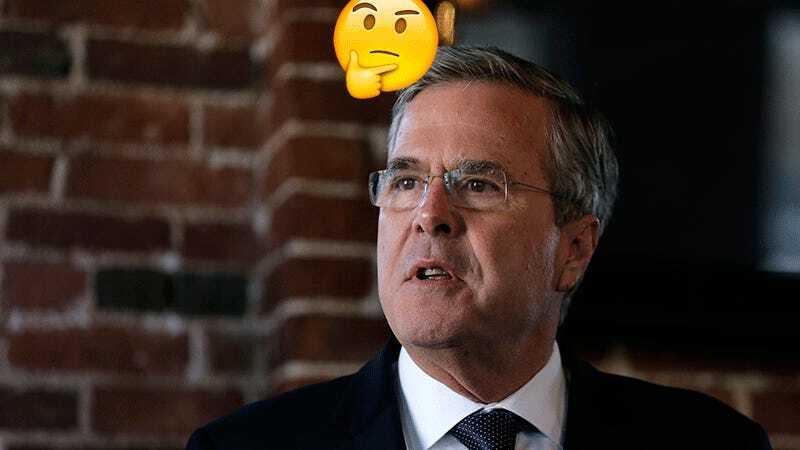 At a town hall event on Thursday, Republican presidential candidate and depressed middle schooler Jeb Bush answered an extremely personal question that no one asked. Hey, Jeb...why’d you...say that? You don’t have to choose, buddy! Image via AP, gif by Bobby Finger.